While roaming through the stacks on the fifth floor of E.S. Bird Library at Syracuse University—in search of J.D. Salinger’s Franny and Zooey—I came across a green, hardcover volume of Chicago Poems by Carl Sandburg. 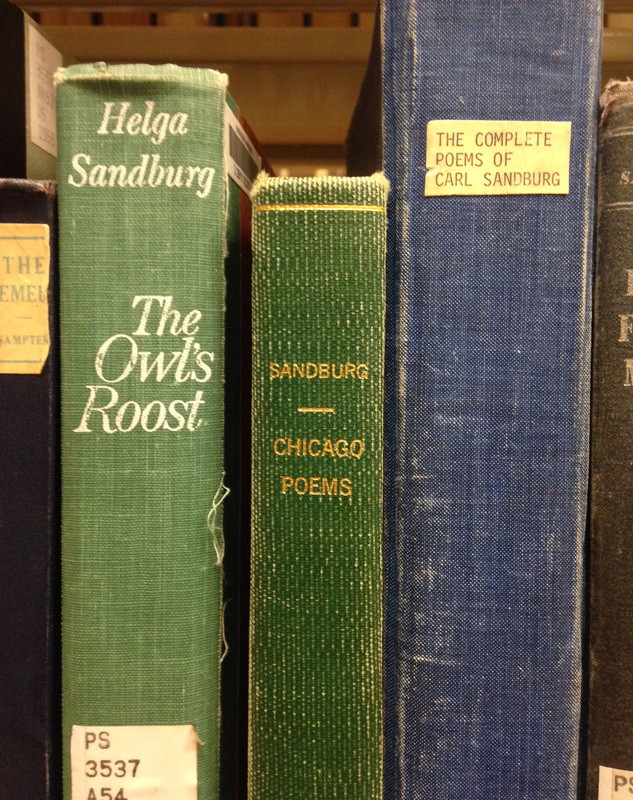 Chicago Poems by Carl Sandburg. I pulled the book off the shelf and cracked it open, turning randomly to page 116. There I found the poem Under the Harvest Moon. Sandburg’s words seem fitting as classes at SU resume and summer gives way to fall. I thought I would share the text of the poem with you, and I hope you find the words as meaningful as I did. Sandburg, Carl. Chicago Poems. New York: Henry Holt and Company, 1916.